Plan how you want to customize your boat so you can cut your Styrofoam accordingly. 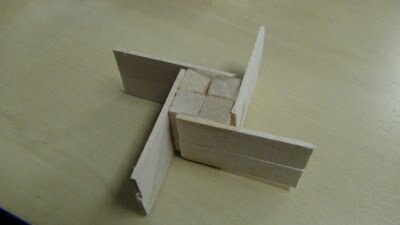 You can use our model below as an example. 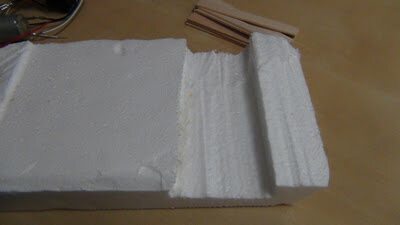 Begin by selecting a piece of styrofoam that will act as your boat. 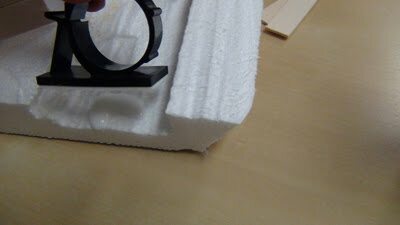 We are using a styrofoam cutter to cut grooves into the boat so that we can place our motor holders which will house the motors that spin the wooden paddles. Pictured below is a side view after we are done cutting. 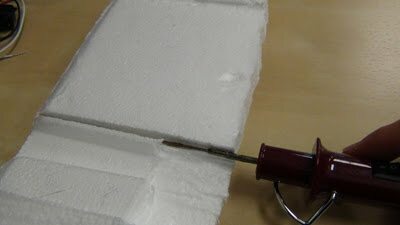 As you can see the styrofoam cutter did not give us a perfectly clean cut, an x-acto knife will do the job as well and may even give you better results. 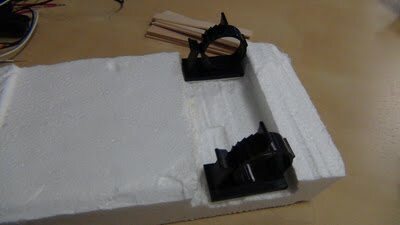 The motor clamp has an adhesive bottom so remove the cover and use glue to attach the motor clamps into the grooves so that you can insert the Hobby Motors once the paddles are attached to them. Here we have used 4 small rectangular wood blocks to create a box base and cut the long wood strips in half and put them side by side to create a wider surface area. 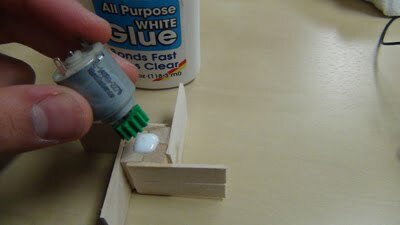 All purpose or wood glue will do the job. 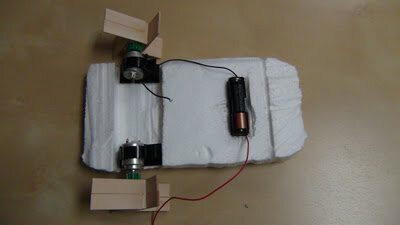 Place the gear on the motor and attach it to the paddle you've created using all purpose glue. Place one AA battery inside a AA battery holder. I've created a groove for the battery holder as well but remember this can be your own custom boat. 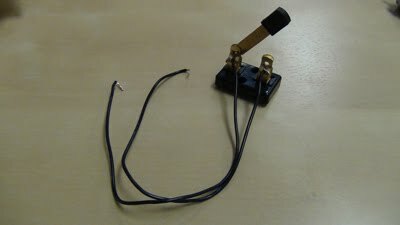 Attach a connection wire to each side of the knife switch which will act as our on/off switch for the boat. Here is our final product! The wires of the battery holder are attached to each of the motors. The connection wires from the knife switch are attached to each of the motors as well. 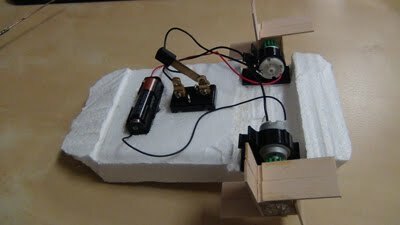 Remember that which end you attach to the motor will determine which way it spins so they should be attached in a way where the paddles will propel the boat forward. In the video below, you can see how the knife switch will turn the motors on and off if your connections are done properly. Now test your paddle boat and then place it in a body of water!